New Single “My Dying Time” Available Now! 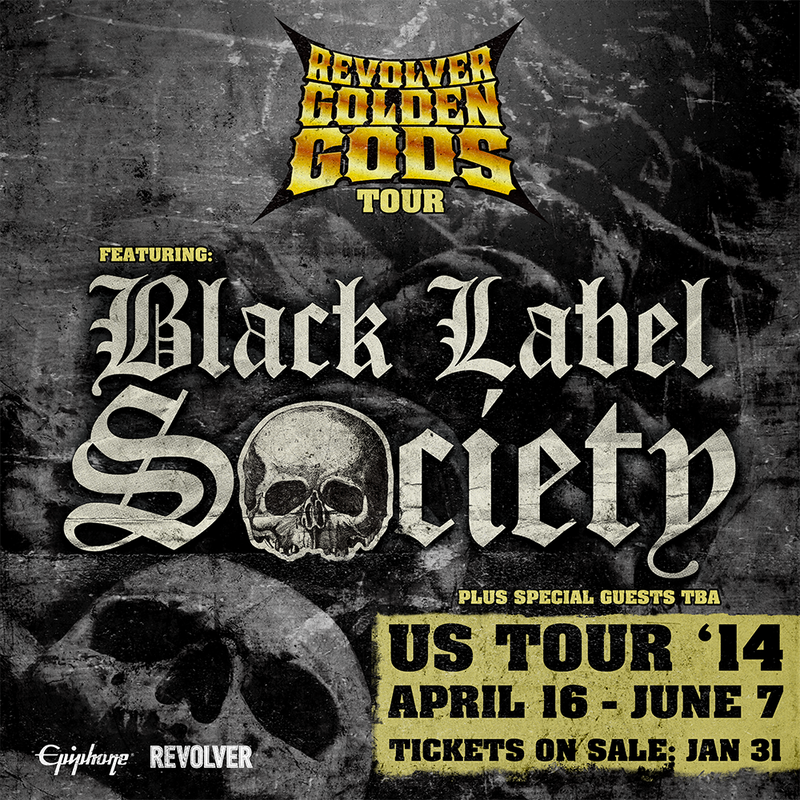 BLACK LABEL SOCIETY has been announced as this year’s headliner for the 2014 REVOLVER GOLDEN GODS TOUR, presented by EPIPHONE. The tour will kick off the second week of April and finish up in early June. Supporting acts are set to be announced soon. The band, led by guitar icon Zakk Wylde recently announced the release of “Catacombs of the Black Vatican,” their highly anticipated new LP due out April 8th, 2014. In addition to the album art and track listing, BLS released their first all new single titled, “My Dying Time,” heard here. The Revolver Golden Gods Tour follows up last year’s Road to the Golden Gods Tour, which was headlined by STONE SOUR, and like that trek, it ties into the Revolver Golden Gods, America’s only hard-rock and heavy-metal award show. The details of the 2014 edition of that show will be announced shortly.